How do you define self-esteem? What has been your greatest accomplishment in life? What would you do if you knew you would succeed? 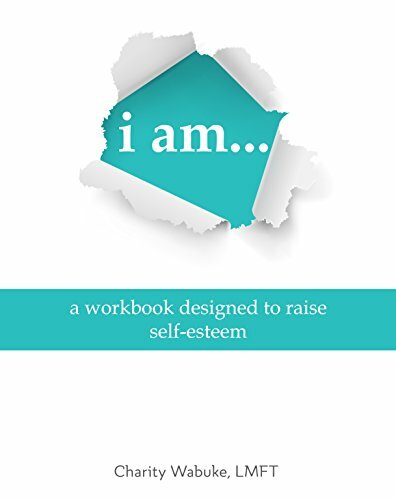 I am… is a workbook for everyone--young and old filled with hidden gems. I invite you to go on this journey to raise your self-esteem. One fundamental truth drives this book: You have been created for a unique purpose in life that only you can fulfill. Regardless of your age, developing a powerful core of self-esteem provides the critical tool that allows you to realize the unique strengths that lie within yourself while discovering the best parts of who you are. Charity Wabuke (1977 - current) was born in the United States. Charity's parents fled Uganda while Uganda was under the dictatorship of Idi Amin. Charity holds a Bachelors in Business Administration and a Masters in Clinical Psychology, Marriage and Family Therapy. Charity Wabuke is a Licensed Marriage and Family Therapist based in Southern California. Years of counselling teens, adolescents, young adults, adults and families from all walks of life have shown her how the critical thread of self-esteem weaves itself throughout all areas of our human lives and thus creates a deep impact on us all. Born of this deep belief, I am… is her gift to empower everyone to find their unique paths, while enjoying the best within themselves.